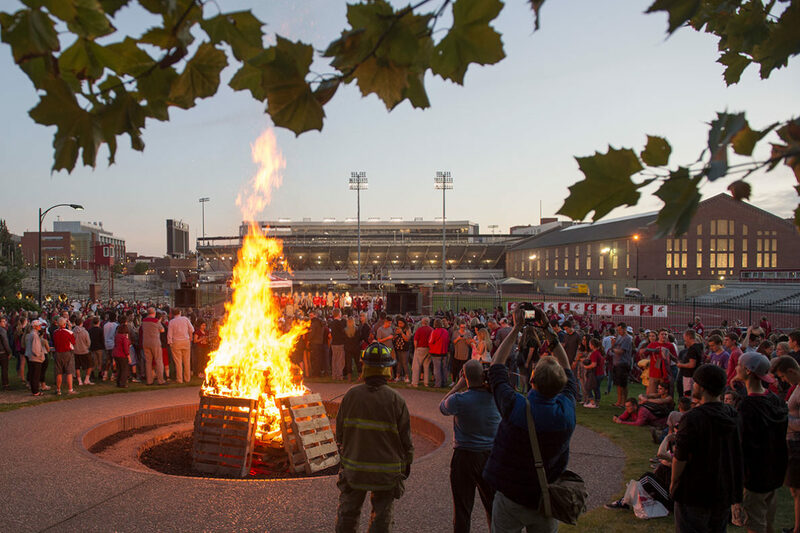 Grab your favorite crimson and gray and join Cougar nation at the annual homecoming bonfire, set for 6-7 p.m. tonight, Oct. 20. Cheer with the WSU Cheer Squad, dance with the Crimson Girls and share your Cougar pride with students, faculty, staff, alumni and community members as No. 15 Washington State prepares for the Saturday night showdown against Colorado at Martin Stadium. Hosted by the Student Alumni Ambassadors, the bonfire rally is on Flag Lane at the intersection of Stadium Way and Colorado Street. On game day, head to the CUB on the Pullman campus for pre-kickoff celebrations starting at 4:45 p.m. that include games, giveaways and food. For those who couldn’t get tickets to the football game, it will be shown on CUB Lair’s big screen that evening. The Cougars (6-1, 3-1 Pac-12) have the nation’s third-best passing attack and the tenth-ranked defense. They hold a 6-4 series advantage over Colorado (4-3, 1-3). Kickoff is at 7:45 p.m. Saturday.